Modernist Cuisine: The Art of Science ushered in a new age of cooking when it was published in 2011. Written by Nathan Myhrvold, a former Microsoft CTO, the six-volume collection by weighed 50 pounds and explored the science behind heightened flavor, texture and presentation. With recipes that read like complex formulas,the book sought to understand things like why gluten networks form in bread loaves and how heat moves through steak. Helping to answer those questions are people like Scott Heimendinger, Modernist Cuisine’s director of applied research. This former software programmer for Microsoft and IBM works out of Modernist Cuisine’s Bellevue lab along with a 20-person team. He’s a chief ceramicist, laser cook and museum show coordinator who experiments with an array of high-tech ‘toys’ – lasers, 3D printers, centrifuges, rotor-stator homogenizers etc. – all in the name of deliciousness. We caught up with Heimendinger before his panel at SXSW this last month to discuss cooking with lasers, how to apply the Modernist approach to cooking at home, and his favorite meal of all time (there were 50 courses). Entrepreneur.com: Were you always into food? Heimendinger: When I moved to Seattle, I started cooking at home and went to a restaurant where I was served a sous vide egg; I’d never heard of sous-vide before [a method of cooking food sealed in plastic bags in precisely temperature controlled water]. When you cook an egg this way, you end up with this texture that is out of this world. The yolk gets fudgy and rich and incredible…it was like someone violated the laws of physics. I went home and devoured all the literature that existed [on sous-vide cooking]. There was almost none. That egg changed the rest of my life. I totally geeked out about sous-vide. I got a laboratory centrifuge from a surplus place, and my friends and I tried to teach ourselves spherification and how to make gels. Entrepreneur.com: When did you first hear about Nathan? Entrepreneur.com: How did you land the job? Heimendinger: I did a one-week cooking internship – I think Nathan realized that I was the same type of crazy as him. They created this position for me three and a half years ago, and it’s just been the most incredible wild ride. Entrepreneur.com: Cooking is often considered an art, but your approach feels as if it removes the spontaneity and creativity from the process. Heimendinger: There’s this false dichotomy that in order to be passionate you have to act like an artist and throw in whatever inspires you in that moment. But that’s not true. You can be equally passionate and take an approach that leverages tools and structure and understanding. Entrepreneur.com: Recipes in Modernist Cuisine: The Art of Cooking require very particular, very expensive equipment. Can similar techniques be used in a normal kitchen? Heimendinger: This was the inspiration behind releasing Modernist Cuisine At Home. With the original edition, the only place on earth that you can cook all those recipes is our lab. You need a rotary evaporator, a centrifuge and a rotor-stator homogenizer, an ultrasonic bath…. But in Modernist Cuisine At Home, we took the same insights from our research, and then we adjusted all of the recipes so you can cook them with cookware from Sur La Table or Williams Sonoma. Heimendinger: If you want to replicate the type of pizza that you get from a 800 degree Neapolitan pizza oven at home, take a plate of steel, put it in your home oven and crack up the broiler It’s extraordinarily successful, not that expensive and now people are making incredible pizza at home. We love democratizing these things. Entrepreneur.com: Are you trying to get people to reconsider how they think about preparing food? Heimendinger: Absolutely. And this is very important: Even if you don’t have the tools for a recipe, we still think it’s interesting to know how the process works. Just from a position of passionate curiosity. Entrepreneur.com: What’s next for Modernist Cuisine? Heimendinger: The original Modernist Cuisine books only focused on savory cooking. And although the books were big, 2,400 pages, we left out a lot. Right now we are in the R&D phase of our next book, which is going to be massive. And it’s just about bread: Not pastry, not desserts, not sweets, not Viennoiserie. Just bread. It’s totally feasible that you might see a Modernist Barbeque, or a Modernist Cocktail book, or Modernist Chinese; there are so many areas to play with. It’s going to be a long time before we run out of fun things to cook. Entrepreneur.com: Tell me about the best meal you’ve ever had? Heimendinger: The most delicious meal? Ferran Adrià [an award winning Catalan chef] came to the lab to visit us, and we cooked him 50 courses for lunch. 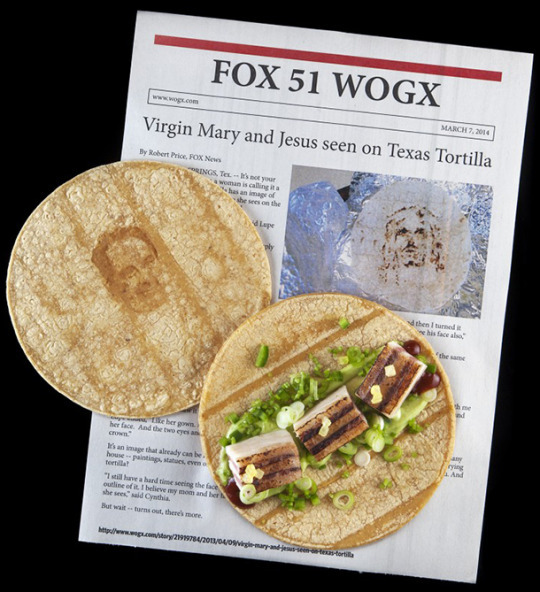 We had set the table with English and Spanish newspaper articles about people seeing the face of the Virgin Mary in their toast. The chef had just served a deconstructed tacos al pastor, this beautiful laminated meat presentation with avocado puree, and then came back around the table with a tortilla warmer to reveal Faran’s face laser etched into the tortillas, as if it was the face of the Virgin Mary. It was cool, because I got to do the laser etching. 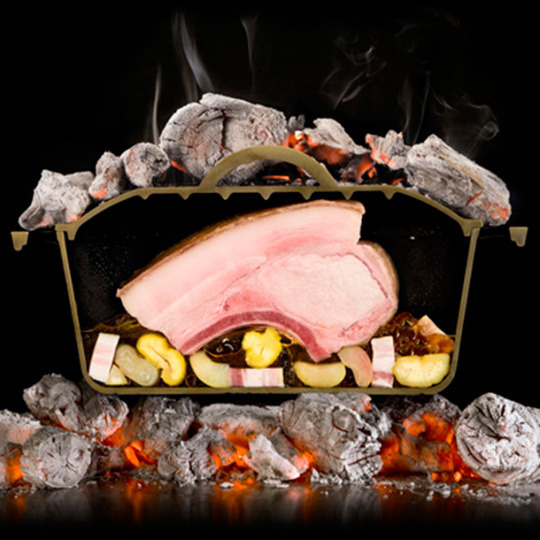 But it also highlights that cooking is not just about sweet, salty, umami, and bitter flavors; it’s also about a sense of humor, and playing with tension and curiosity. That’s all part of the meal. Sometimes the dish is the punch line to a joke, and it’s fantastic.